Why Does Styrofoam Dissolve in Turpentine? Styrofoam, a lightweight plastic used for packing materials and thermal insulation, dissolves in turpentine because the two substances have compatible molecular properties. Liquids dissolve solids when the forces holding the solid molecules together is less than the attraction between the liquids and solids. 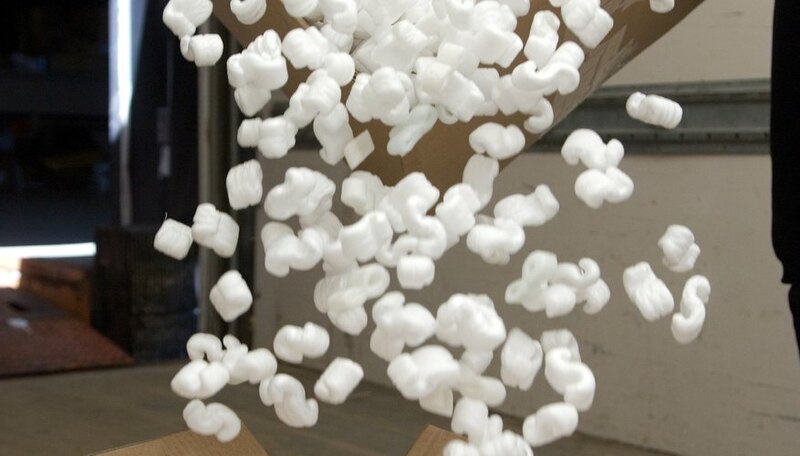 Styrofoam is a type of polystyrene into which air is injected during its manufacture; the air forms tiny bubbles surrounded by stiff walls of plastic. The tiny air bubbles lower the density of the material, making it very light. Chemically, however, Styrofoam is still polystyrene, so liquids that dissolve polystyrene also dissolve Styrofoam. Turpentine is a volatile oil distilled from the resin of pine trees, having uses as a solvent and in traditional medicines; it has also served as a fuel for oil lamps and engines. Artists have employed turpentine as a paint thinner, as it dissolves oil-based paint. Turpentine is not a simple substance but rather a mixture of several different organic compounds including pinene. The electrical polarity of molecules is important to understanding how one substance dissolves another. Some molecules, such as water, are more negative on one side than the other; this imbalance causes the negative parts to repel each other and attract the positive parts of other molecules. On the other hand, some plastics, oils and other substances are nonpolar -- their molecules have roughly the same negative charges all around them, so their mutual attractions are weak. In chemistry, the rule of thumb for solvents is “like dissolves like”: polar liquids dissolve polar solids, and nonpolar liquids dissolve nonpolar solids. 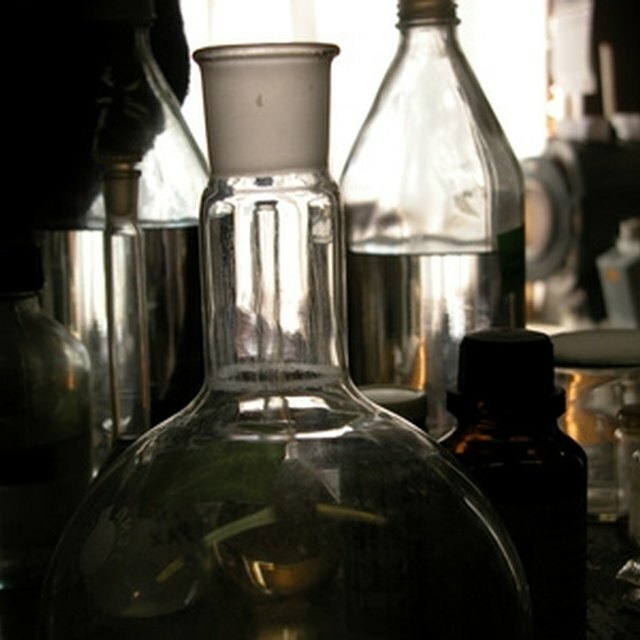 Turpentine contains nonpolar compounds, and polystyrene is also nonpolar. A solid object holds itself together through forces between atoms and molecules; to dissolve the object, the solvent produces its own forces that counteract those in the solid. The molecules in the solid become more strongly attracted to the solvent than to each other, and the object disintegrates. When the solvent evaporates, the remaining molecules recombine into a solid. In the case of Styrofoam and turpentine, the solvent evaporates, releasing most of the air bubbles in the plastic foam into the ambient air and leaving behind a lump of solid polystyrene. What Happens to Ionic & Covalent Compounds When They Dissolve in Water? Papiewski, John. "Why Does Styrofoam Dissolve in Turpentine?" Sciencing, https://sciencing.com/styrofoam-dissolve-turpentine-19005.html. 25 April 2017.